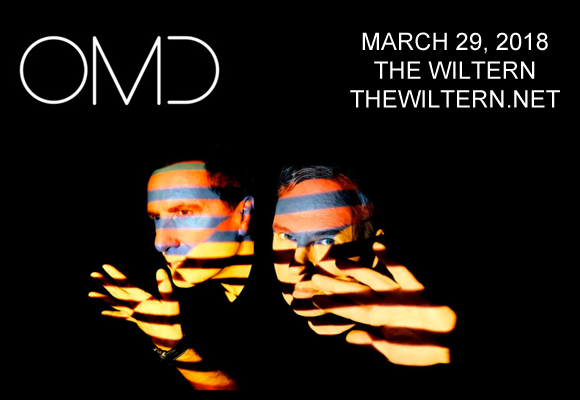 British synth-pop pioneers OMD (Orchestral Maneuvers in the Dark) are headed to The Wiltern on Thursday 29th March 2018 in support of their incredible new album, The Punishment of Luxury! The 80s legends reformed in 2006 and have since been releasing some of their best material ever – make sure to catch them live! Best known for their 80s synth-pop anti-war hit Enola Gay, English electronic band Orchestral Manoeuvres in the Dark (OMD) first began their music career in 1978. The band's seminal album, Architecture & Morality (1981), launched three international hit singles. OMD released ten studio albums before disbanding in 1996 to focus on other projects. They reformed in 2006, and have since released three more studio albums. Their most recent album, The Punishment of Luxury, was released in September 2017 and was a top 10 entry on both the Independent Albums and Dance/Electronic Albums Billboard charts in the United States, as well as reaching number 4 on the UK Albums Chart.